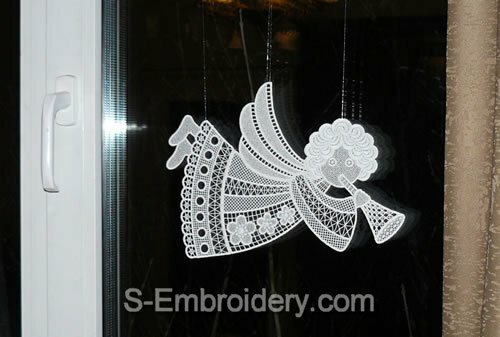 Free standing lace angel Christmas window ornament. 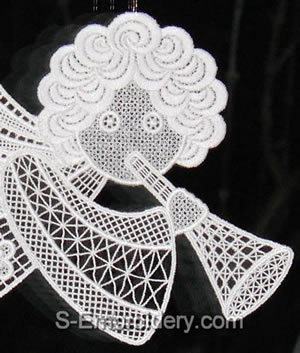 Use this machine embroidery design to create a nice Christmas window decoration. The size of the ornament is around 9 x 12.7 inches (23 x 32 cm). 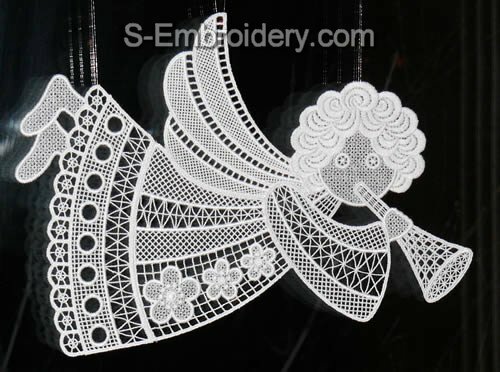 The angel embroidery consists of 4 parts that are stitched out and put together. The embroidery design parts will fit in 5 x 7 (130 x 180 mm) hoops. Delivery includes PDF file with design information and instructions for putting the Christmas window decoration together. Here is an example of the Christmas ornament one of our customers created with this design. This design is absolutely gorgeous. I'm looking forward to stitching this out. It will be a keepsake for many years to come. I'm looking forward to stitching this gorgeous embroidey out.